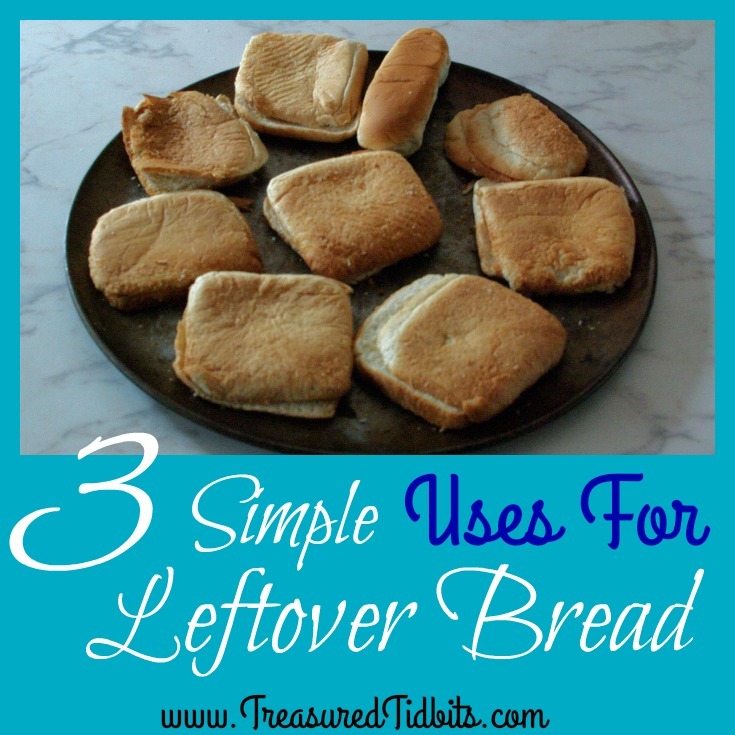 Ever wonder what to do with your leftover bread? The heels that your kids won’t eat, or that loaf that is starting to dry out? 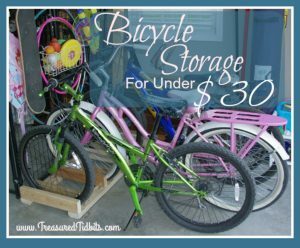 We have some easy, fun, frugal ideas for you! Around here we hate to waste things. We try really, really hard to reduce, reuse and recycle. We used to feed the leftover bread to the birds or take it to the park, but when we discovered that is was not beneficial to the birds I began searching for other ways to consume it. That’s when I discovered a chicken recipe my family love and I had a brainstorm. Tip: You can accumulate the bread by slowly adding the odd pieces to one bread bag until you have enough to fill a baking tray. 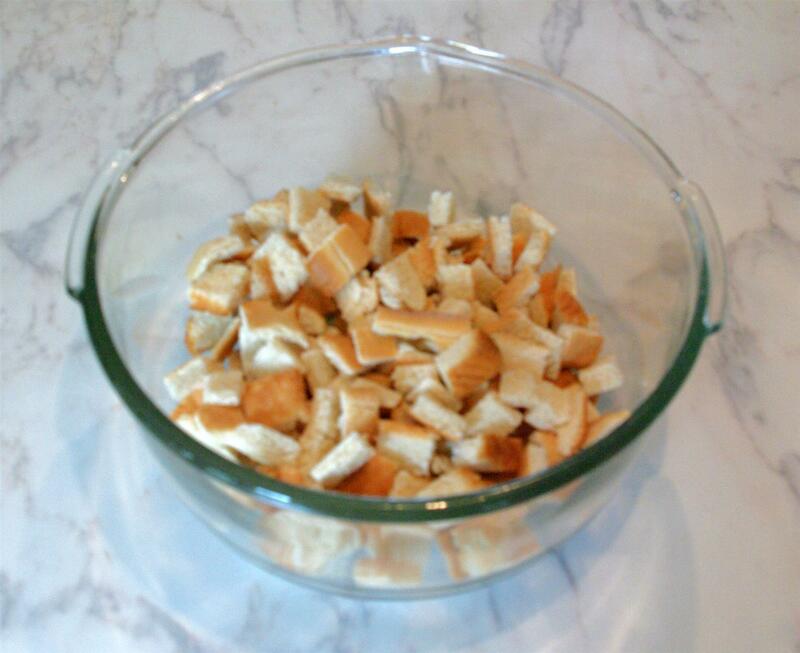 To begin- gather all of your leftover end pieces and dry bread. 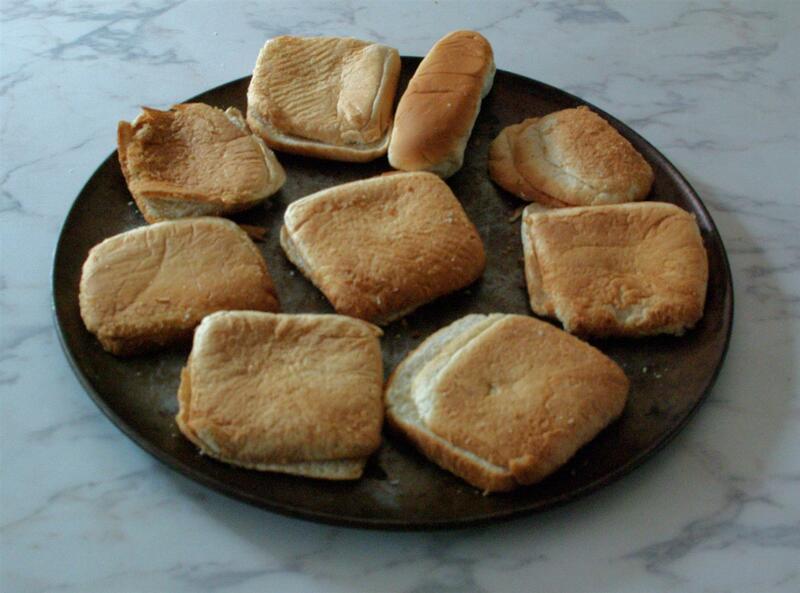 This includes hot dog buns, hamburger buns and even bakery bread. 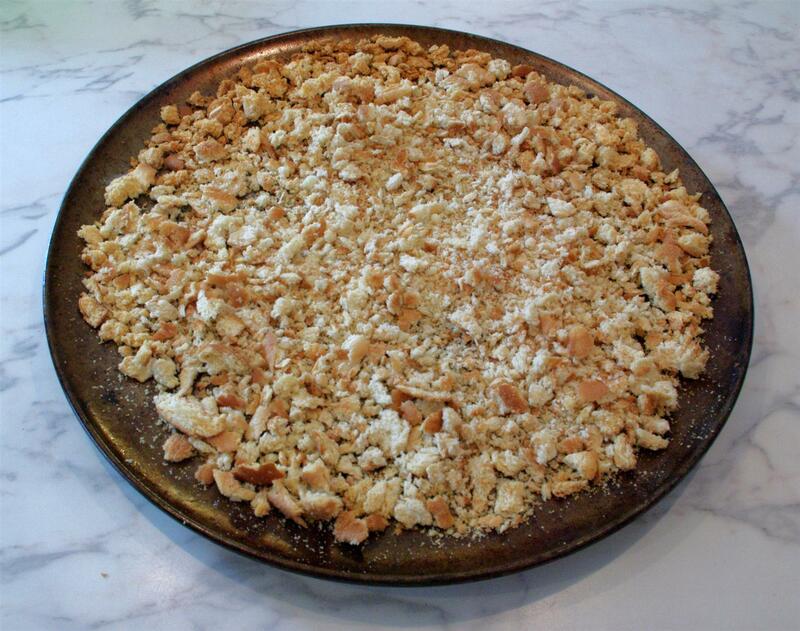 First, we will turn it into “breadcrumbs.” They can be used in the following: meatloaf, dressing, meatballs, topping for side dishes, and our favorite coating for chicken, other meats and potatoes. 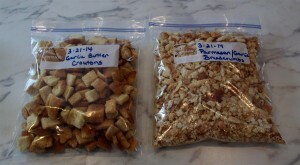 They are a great budget friendly substitute for any recipe that calls for dried bread or crushed croutons. Clearly labelled and dated plastic baggie or sealed container. Tip: We store our finished products in an empty ice cream container now that we have accumulated a large supply. I also try to label my containers or packages first- while my counter is still clean. 1.) Preheat oven to 250-350 degrees. 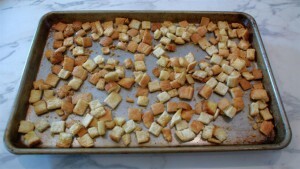 Note: If you are unable to get them small, don’t worry, you can crumble them more after they are dry. 2.) Add seasonings if desired based on what you will use the crumbs for. Toss with a spoon. Add any melted butter last. 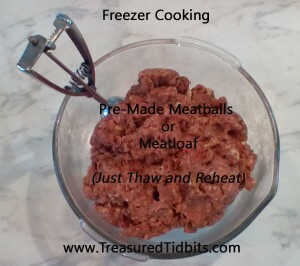 Tip: If I am adding them to meatloaf or meatballs I add the seasonings and then continue to mix them with the meat and other ingredients, then freeze for later. If I am not sure what I will use them for, I simply add no seasoning but I remember label the package as unseasoned bread crumbs. 3.) 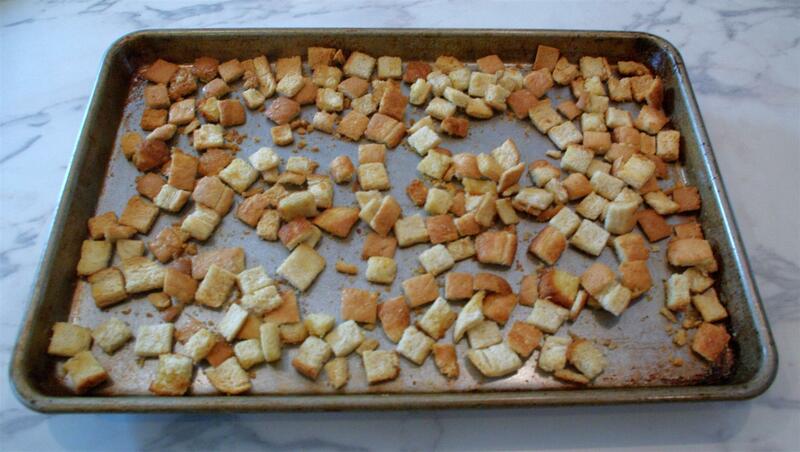 Spread breadcrumbs on baking tray. 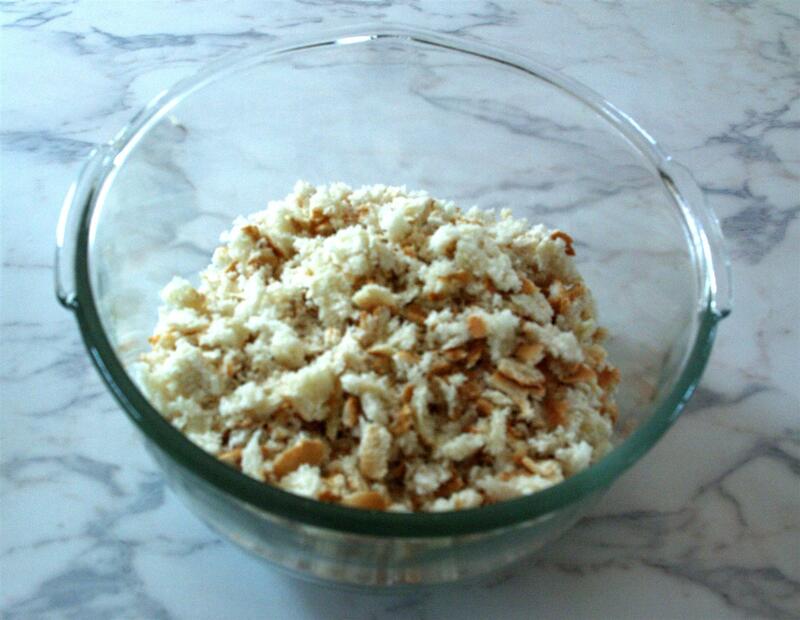 Bake for 5 minutes, stir, continue to bake until desired consistency. We prefer ours lightly browned. 4.) Remove, allow to cool, store in airtight container. 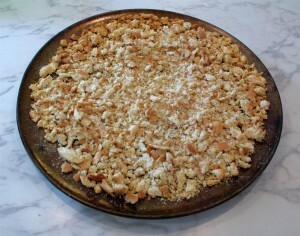 I love the convenience of having the crumbing toppings ready to go. And at no additional cost to our budget. Note: I often make these on baking or freezer cooking day when the oven is already warm. Step 1.) Preheat oven to 300 degrees. 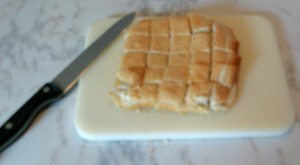 Place two pieces of bread on cutting board and cut into squares. (We keep these bite size for salads.) Continue until all bread is cut, adding to bowl as completed to keep cutting board clear. 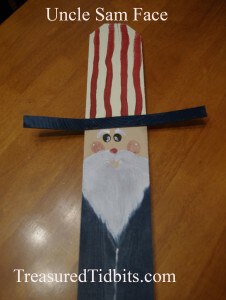 Step 2. ) Mix desired seasonings. Tossing as you go add melted butter last. 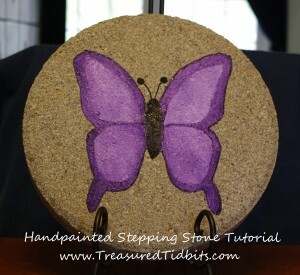 Step 4.) Remove. Let cool. Add to properly labeled container. 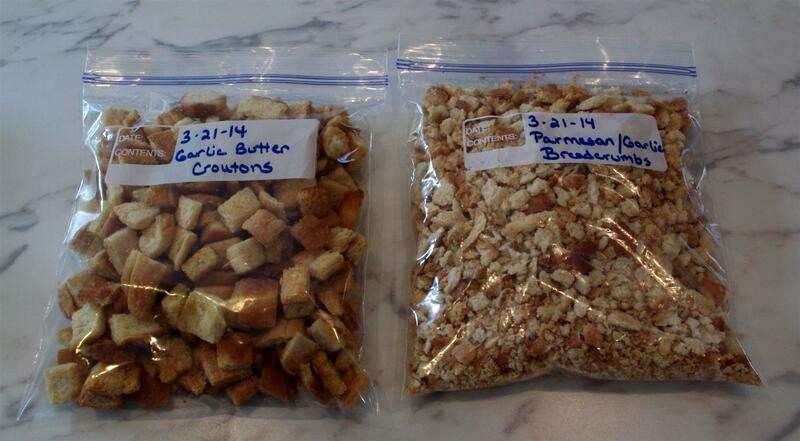 You now have delicious budget friendly croutons for all your salad needs. As always, we are happy to hear from you! If you are a blogger with additional budget friendly bread recipes please feel free to share links in our comments. 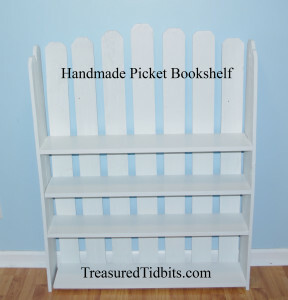 Want to see more great money saving and food stretching ideas??? Follow us on Pinterest, Facebook and Instagram. Or sign up for our weekly email list. Please remember to share us on your favorite social media and Pin for future use!